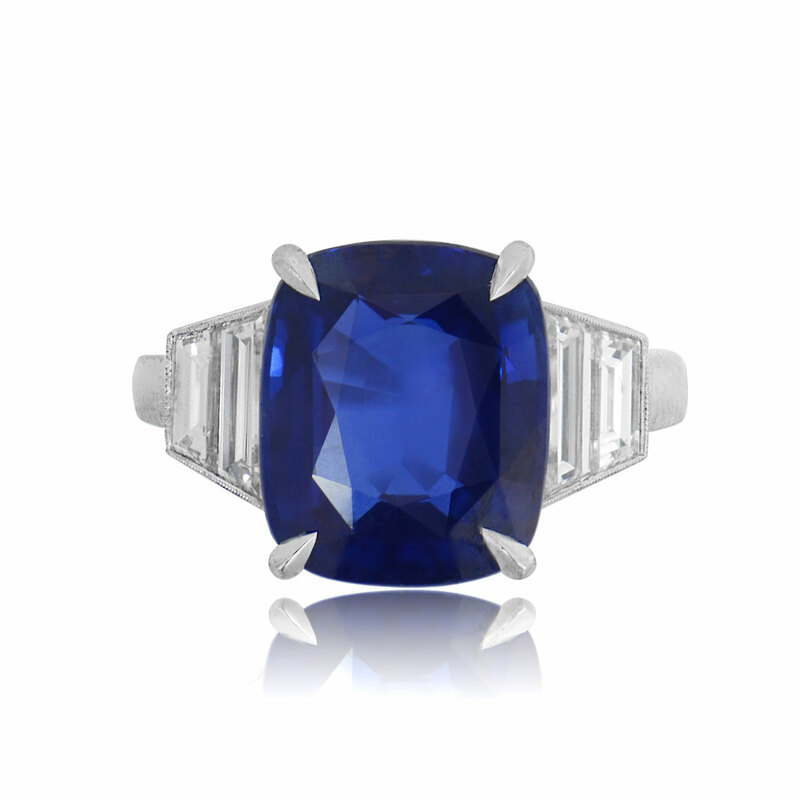 Beautiful 7.57ct natural cushion cut sapphire ring set in a platinum mounting with diamonds. 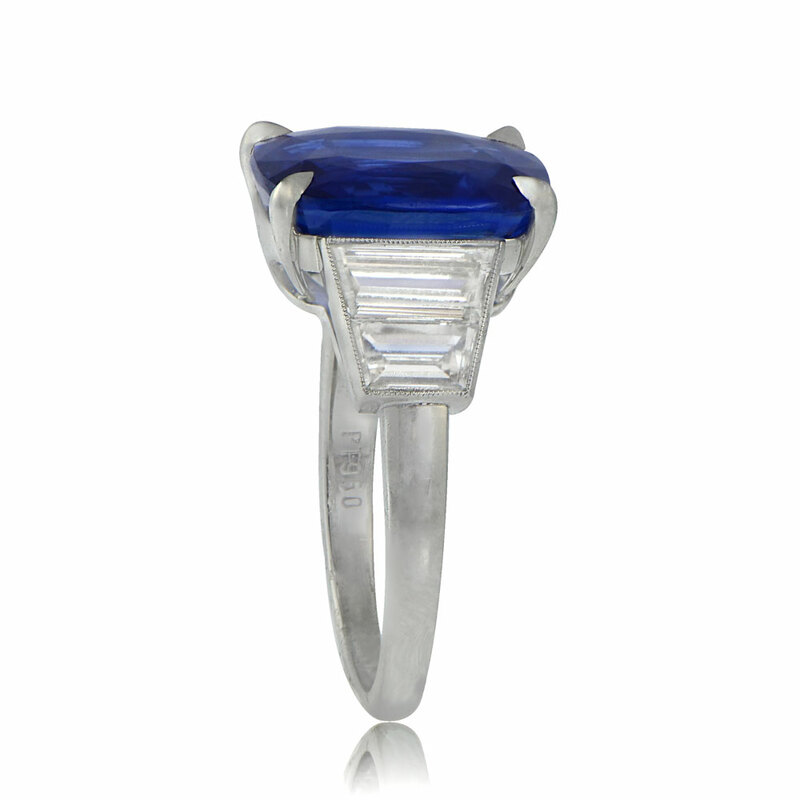 Sapphire is certified by SSEF to be natural with no treatments. 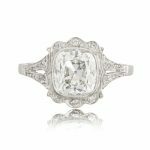 It is flanked by two trapezoid cut diamonds on each side. 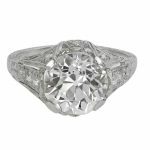 Diamonds are approximately G color, VS clarity and have a total weight of 1.61ct. 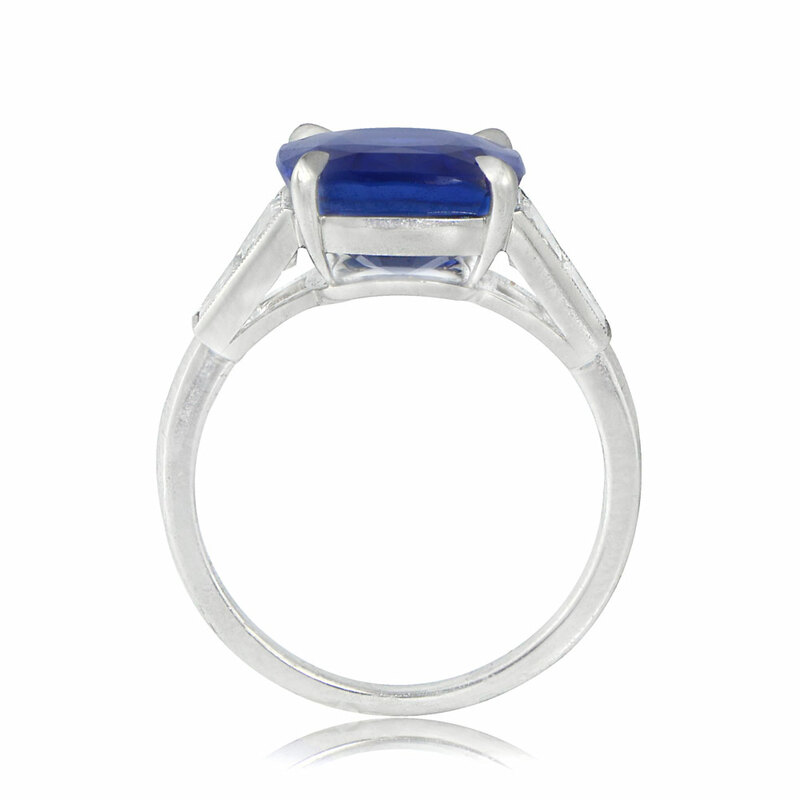 To see another sapphire ring click here. SKU: 9730 Category: Sold - Contact us and request additional pictures.